Dr. Mandeep S Grewal is a consultant Dentist and practices at Bali Medical & Dental Center, Karol Bagh in Central Delhi. Dr. Mandeep S Grewal has completed BDS from SDM College of Dental Sciences, Dharwad in 1998 & MDS from A.B. Shetty Memorial Institute of Dental Sciences in 2000 and has expertise in Dental Implant Fixing, Complete/Partial Dentures Fixing, Tooth Extraction, Cosmetic/ Aesthetic, Dentistry, Scaling / Polishing, Crowns and Bridges Fixing, Dental Fillings etc. 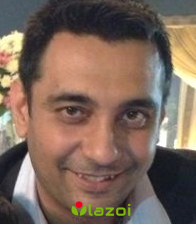 You can book an online appointment with Dr. Mandeep S Grewal on www.Lazoi.com.